Hello Summer! School holidays and Christmas are just around the corner. Get involved with your local community by checking out our top activities this month! Werribee Centrals invites 9 – 16 year olds to attend their free one day Netball clinic. Junior players will learn a combination of skills to provide a well rounded Netball experience. The session includes specialist netball training, goaling, defense, footwork, match play and FUN. 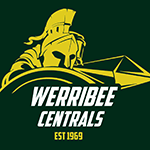 Werribee Centrals Football & Netball Facebook Page via messenger. JUBILEE’S CHRISTMAS POP UP PICNIC IN THE PARK! Join us for Jubilee’s second Pop-Up Picnic in the Park event! Hosted at Jubilee’s Village Park, there will be food trucks with a selection of delicious dinner options to purchase, including your favourite Friday night fish and chips, burgers, Indian, kebabs, churros and more. Be sure to bring your picnic blankets and get set for a fun-filled evening of free entertainment, with giant games for the kids and our Village Park playground in full swing! Give back to those in need by bringing a small gift to donate to the Starlight Children’s Foundation. To donate, please bring along an unwrapped, child-friendly present, suitable for ages 3-7 on the evening of Friday 14 December. Enjoy the festive season with friends and family in Werribee City Centre, with the Christmas Tree in Station Place at the heart of the city’s community celebrations. Werribee City Centre’s Christmas Tree will be at the heart of community celebrations this festive season. On Fridays and Saturdays you can also enjoy live music in Station Place from 12pm – 3pm, making it the perfect spot to enjoy your lunch.